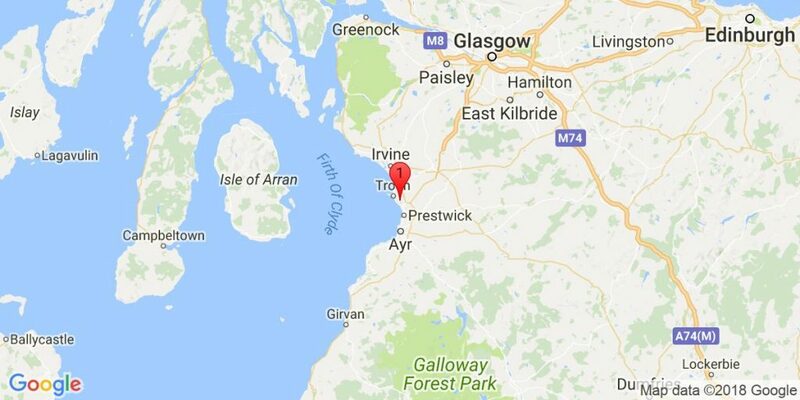 The home of the Open Championship courses at Turnberry and Royal Troon. Other hidden gems in the area include Western Gailes and Dundonald Links, two excellent Links Golf Courses. 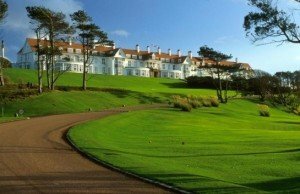 Golf Vacations UK have a variety of accommodations available in this area ranging from 2 to 5 star hotels, including the 5 star resort at Turnberry Hotel Golf Resort & Spa. 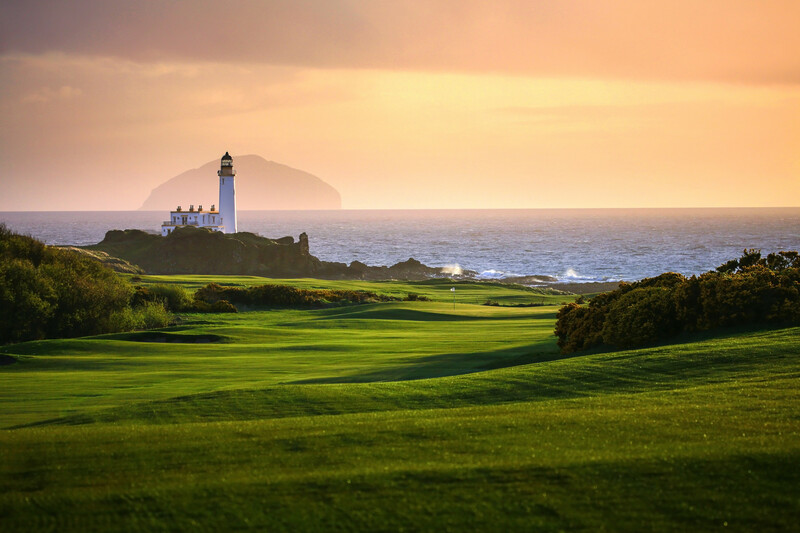 Situated on a magnificent stretch of the Atlantic coastline, with the gently rolling Scottish countryside at its back Trump Turnberry is unquestionably one of the great resorts of the world. 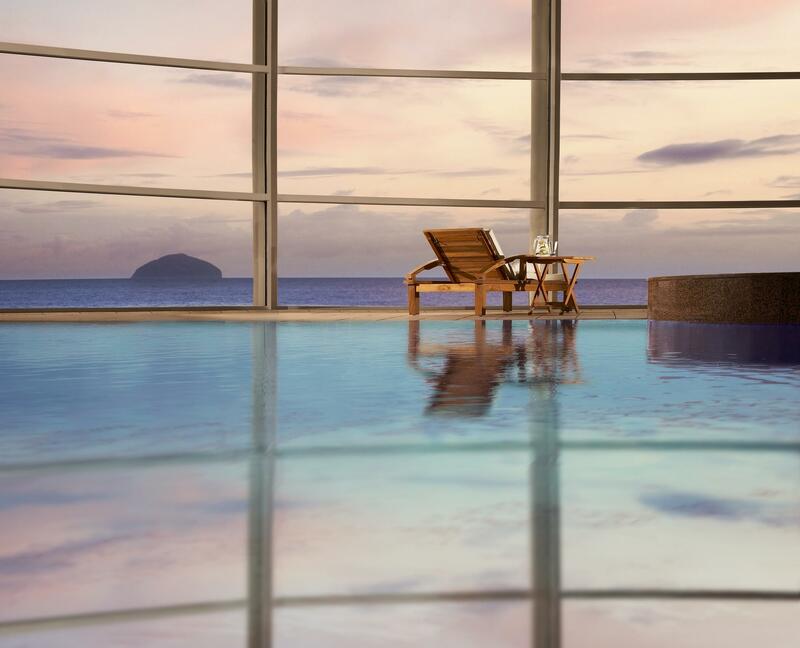 Set in 800 acres of one of the most beautiful corners of Scotland, Turnberry’s fascinating provenance and idyllic natural position render any stay a memorable experience. 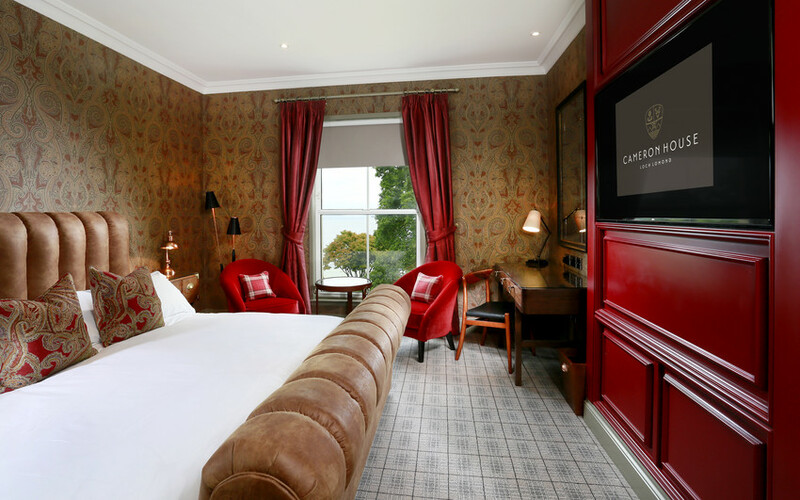 At its heart is an internationally renowned hotel, a five star experience of superb accommodation, fine dining, relaxing lounges and friendly Scottish hospitality. Here luxury and beauty go hand in hand, providing the perfect backdrop to a range of unrivalled sporting, leisure and business facilities. Above all else, the one thing that really makes a stay at Turnberry so enjoyable is the staff. Looking after the world’s great and good is a finely tuned art here, an art that has been perfected since the Hotel opened in 1906. 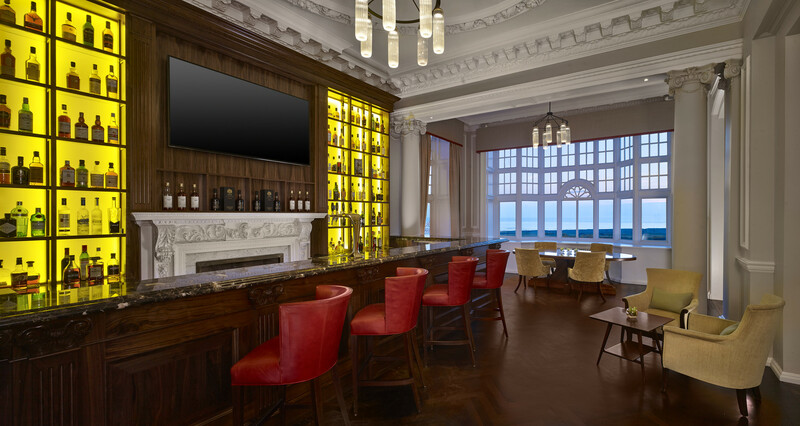 To make guests truly at ease requires dedicated staff, staff who have an intuitive understanding of Turnberry’s traditions of hospitality and service – a commodity Trump Turnberry prides itself on. Guests can enjoy the delightful conservatory which faces the beach. In the summer months, the garden is the ideal spot in which to enjoy a favourite drink. 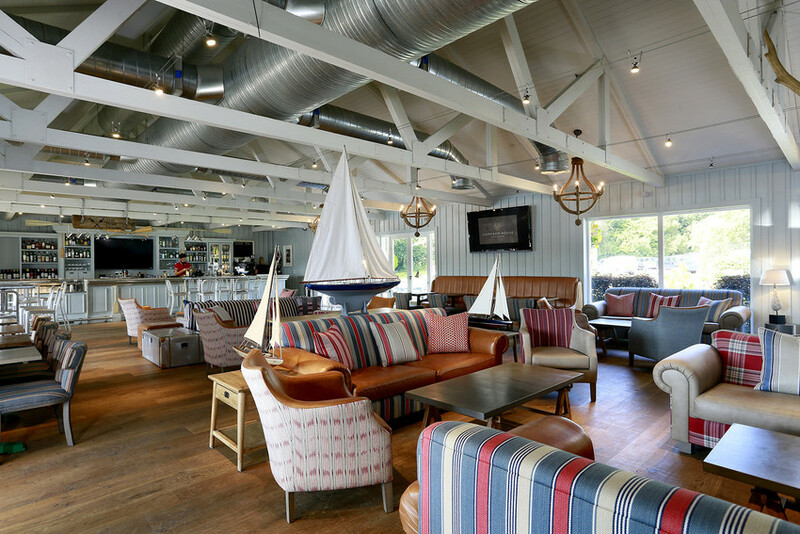 In addition to the popular Miller’s Bar, the South Beach has an attractive lounge bar offering an outstanding Bar Lunch and Supper Menu. 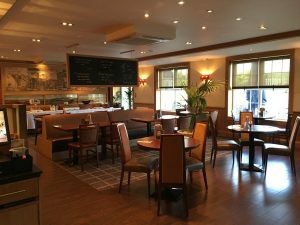 Adjacent to the conservatory, the main restaurant offers the best of Scottish and Continental cuisine, complemented by a comprehensive wine list. 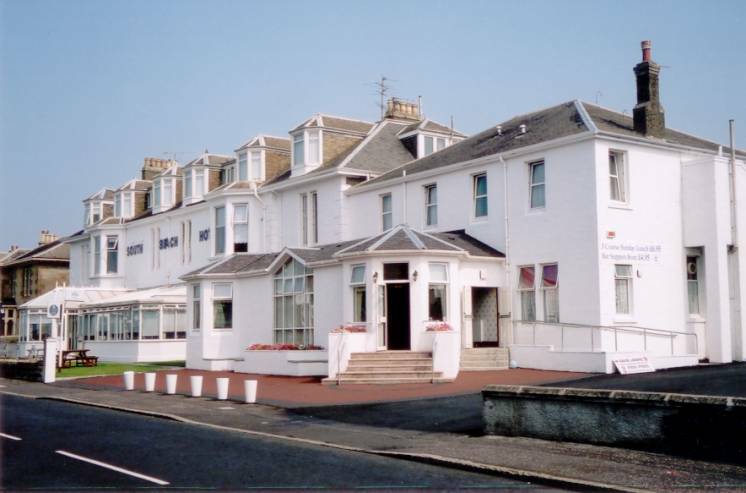 The South Beach has 32 superbly furnished bedrooms, many of which enjoy outstanding sea views. 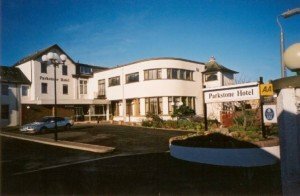 All bedrooms have en-suite facilities, and are fully equipped with TV, Radio, Tea/Coffee making facilities and direct dial telephone. 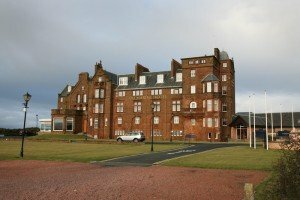 With peerless views over the Firth of Clyde and overlooking the famous championship fairways of Royal Troon, the Marine Hotel represents an unparalleled base from which to explore Scotland’s finest links. 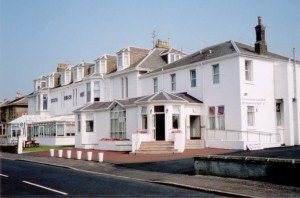 Dating back to 1897, the combination of a warm welcome, excellent facilities and superb service, ensures that the Marine Hotel deserves the reputation it has gained. 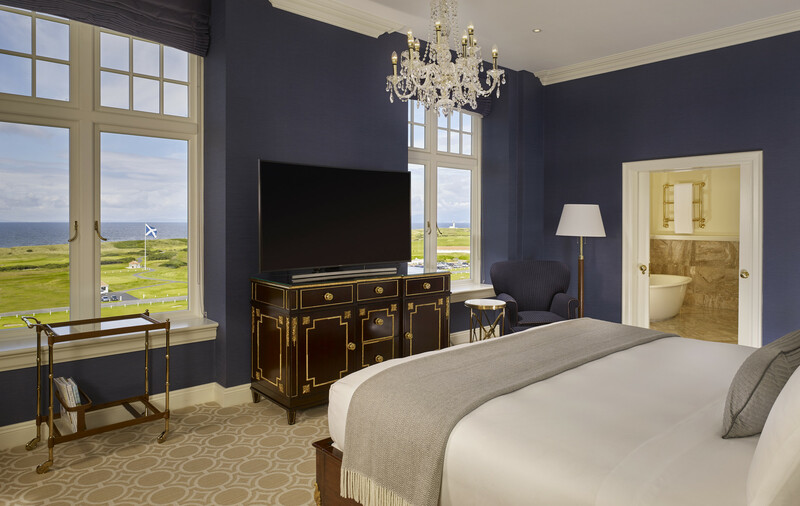 Many of the 74 en-suite guest bedrooms offer beautiful vistas over the golf course, while each combine individual characteristics with the highest standards of modern comfort. Ranging from cosy standard guestrooms to spacious suites complete with private dining room and mini-bar, that little extra touch of luxury can be found in the Platinum Club bedrooms. 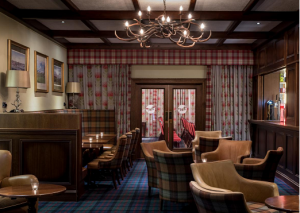 The Arran lounge is the perfect place to enjoy a light afternoon tea or a malt whisky from an extensive collection, while guests may also choose the candlelit refinement, elegance and creative cuisine of Fairways Restaurant. 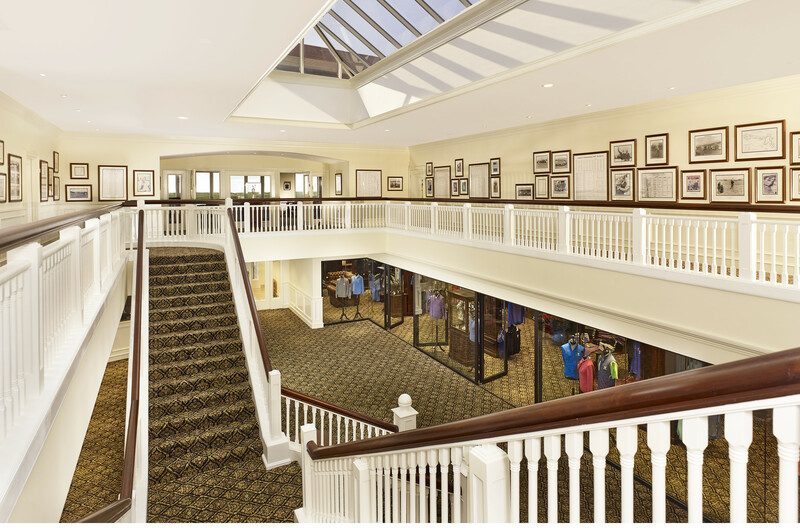 There is plenty for both the over-golfed and non-golfer to do and see at the Highland Hotel. 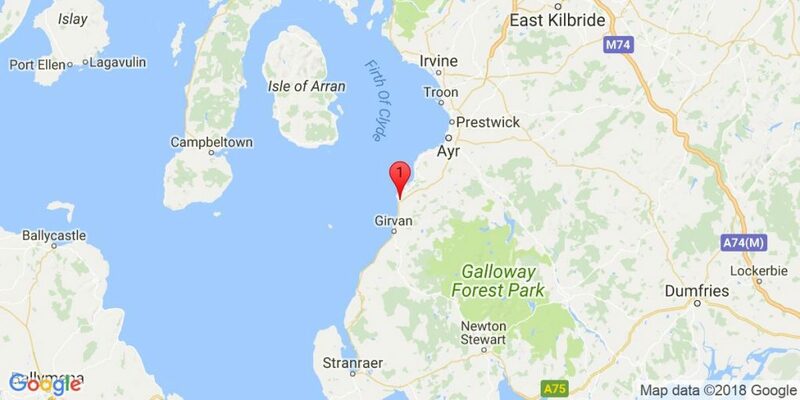 The peace and quiet of Burns Country, the impressive Culzean Castle and the varied attractions of Glasgow City are well-worth inspecting, while the Marine Club provides for everyone from the really energetic to the more leisurely in outlook. 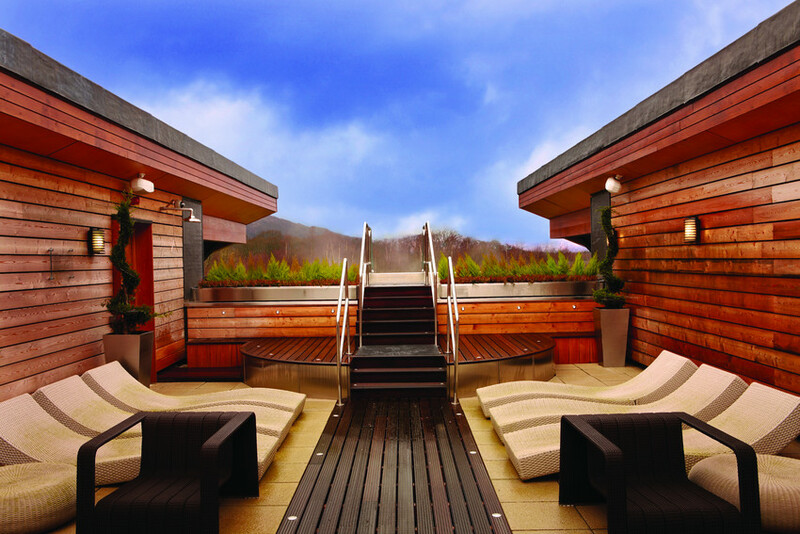 Here, guests can enjoy swimming, squash or gymnasium facilities and relax in the sauna, steam-room and solarium. 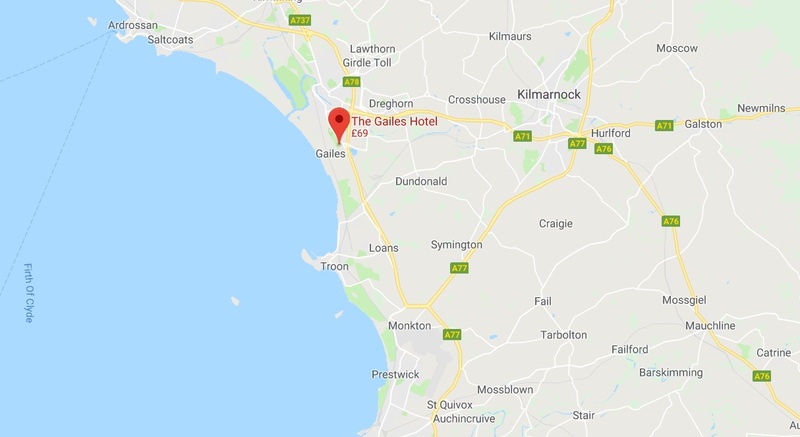 The 4-star Gailes Hotel offers modern accommodation and a contemporary restaurant only a 10-minute drive from Prestwick Airport and close to the top Links Golf courses at Royal Troon, Western Gailes and Dundonald Links. 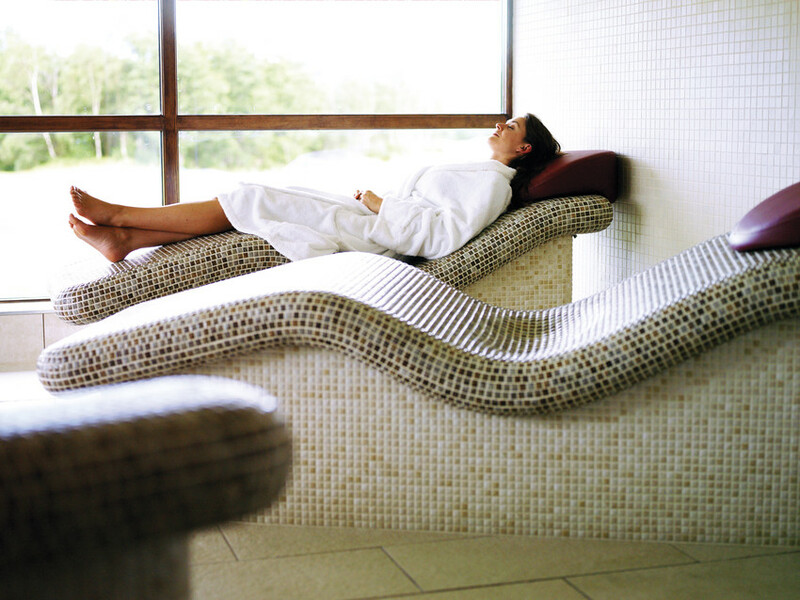 Leisure facilities include a fitness centre, hot tub and sauna. All of the spacious rooms come with flat-screen TVs, free Wi-Fi and facilities for making tea and coffee. 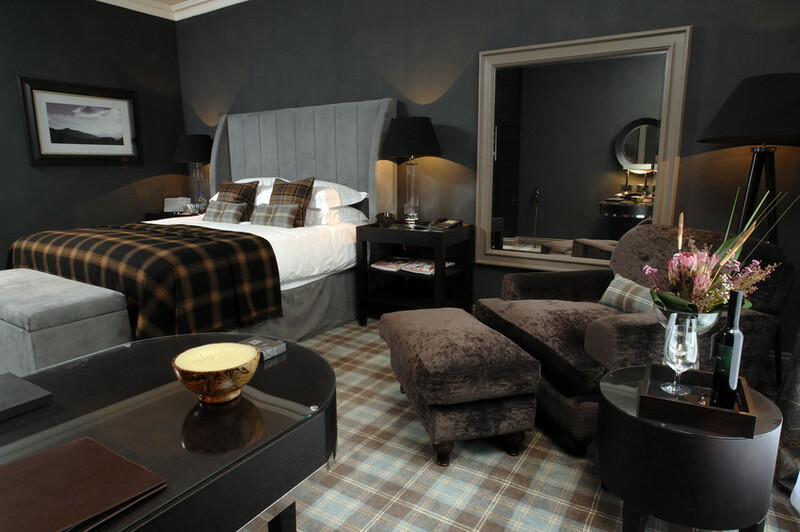 The en suite bathrooms include both shower and bath, as well as Scottish toiletries. 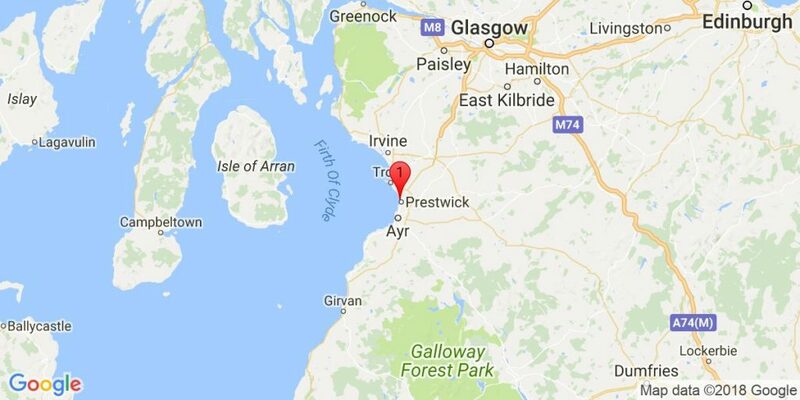 The surrounding area offers golfing, rolling countryside and unspoiled beach walks. 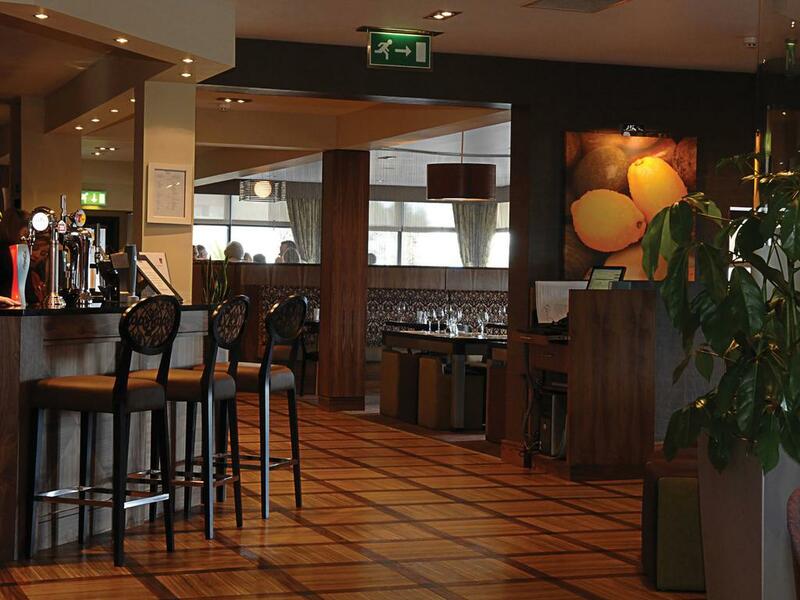 The Zest Restaurant at The Gailes provides a relaxed setting to enjoy a wide range of dishes created with the finest locally sourced ingredients. When the sun is shining, guests can take advantage of the outside terrace with comfortable, soft seating. Situated in Troon, this hotel is within 6 miles (10 km) of Royal Troon Golf Club, Western Gailes Golf Club and Dundonald Links. The hotel has a restaurant, 2 bars / lounges and offers 24 hour room service. Full breakfast and free parking are also provided Full breakfast and free self parking are also provided. Additionally dry cleaning, 24 hour front desk and free newspapers are on site. 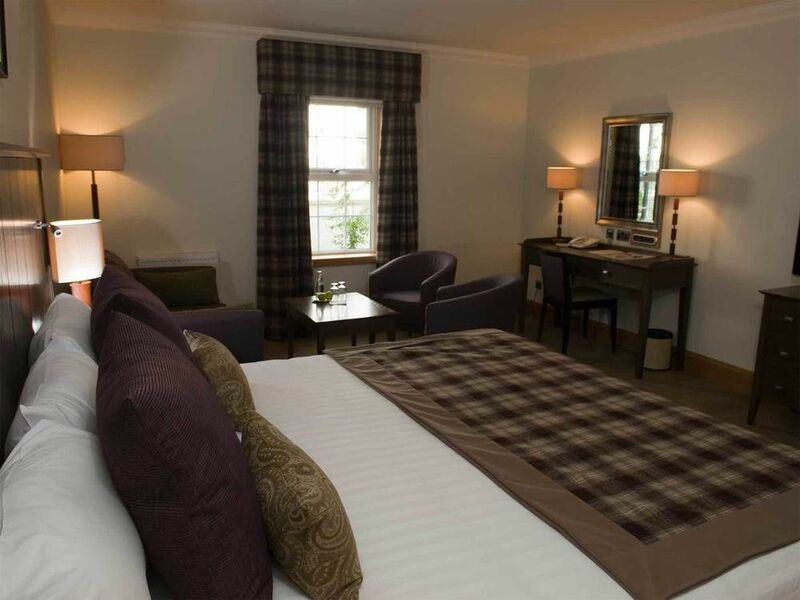 All 20 rooms provide conveniences such as sitting areas and coffee makers, plus free WiFi and 24-hour room service. Guests will also find plasma TVs, ironing boards and desks. 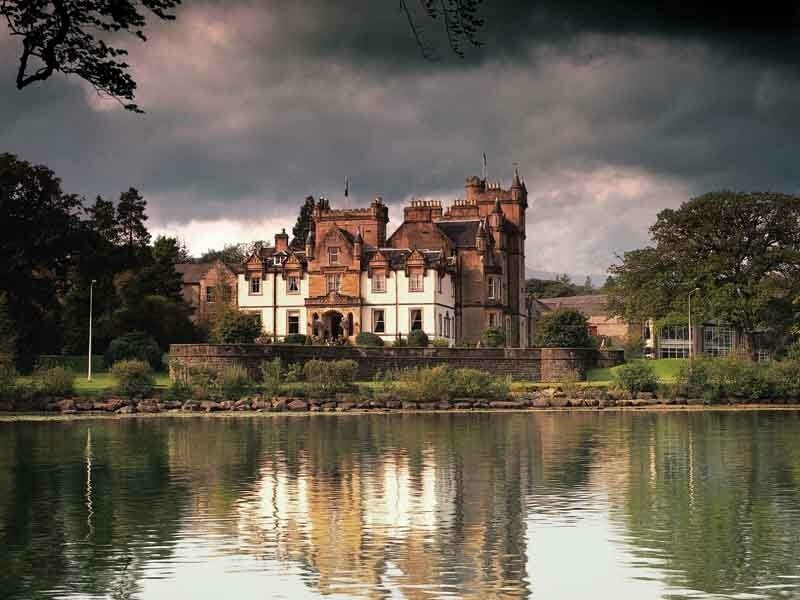 Cameron House stands on the peaceful southern shores of Loch Lomond looking across its shimmering waters to the majestic hills beyond. 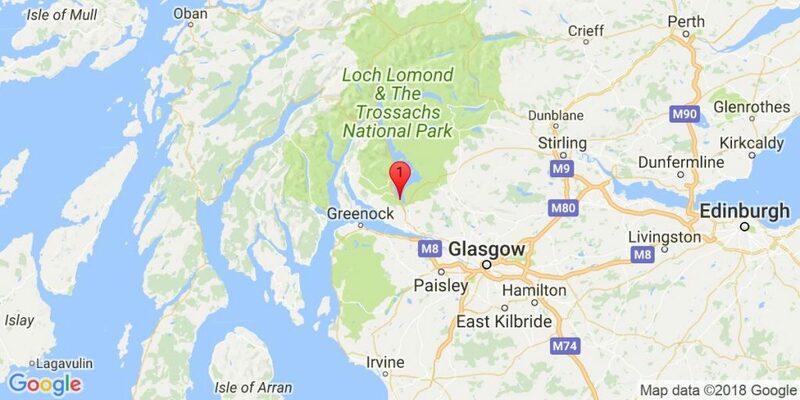 Occupying over 100 acres of magnificent woodland, it provides an inspirational setting, yet is conveniently located just 20 minutes from Glasgow International Airport. 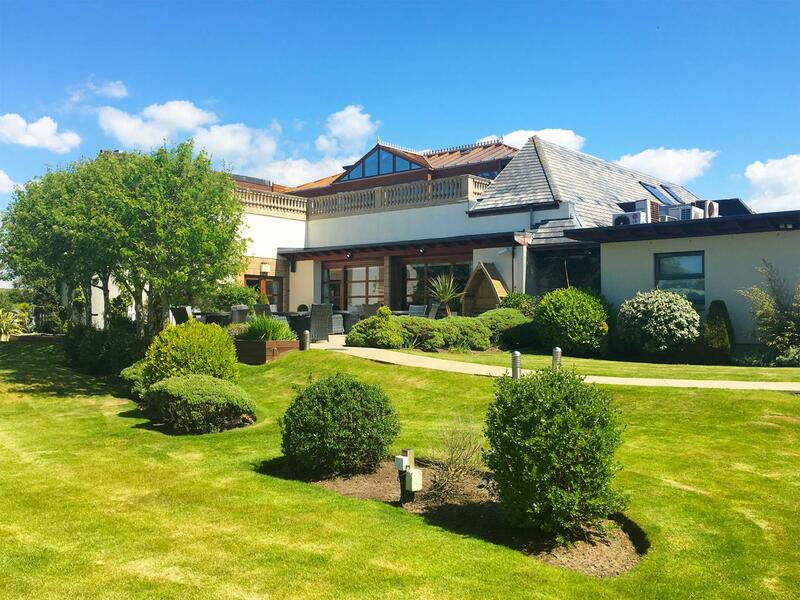 This exclusive 5 star 96-bedroom resort provides an inspirational setting offering deluxe accommodation, award winning cuisine and superb sporting and leisure facilities. 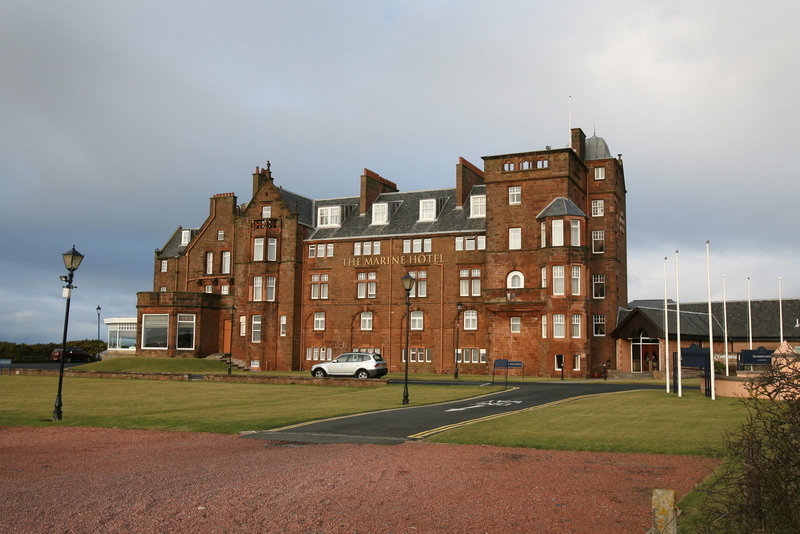 The addition of a world class golf course “The Carrick” and exclusive spa completed this premier location in summer 2007. Outside, another sporting world unfolds, with professional tennis coaching, clay pigeon shooting, and archery, off road driving, sailing, cruising and windsurfing. Available to guests is a challenging 9-hole golf course “ The Wee Demon “ and a magnificent marina housing the hotels own motor cruiser “ Celtic Warrior “ enabling guests to cruise on the Loch and experience first hand the spectacular views and surrounding hills. 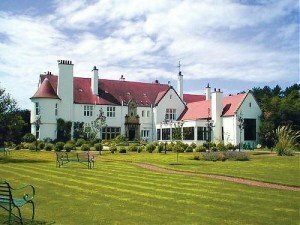 Lochgreen House is set amidst thirty acres of woodland and landscaped gardens adjacent to the famous fairways of Royal Troon and stands as a perfect reminder of a bygone era. Built by the Morton family in 1905, the house features fine wood panelling throughout with light oak in the hall and study and cherry in the dining room. Meticulous attention to detail remains the hallmark of Lochgreen House, which has developed into one of Scotland’s finest country houses. There are two sumptuously decorated sitting rooms, one of which contains a dispense bar. 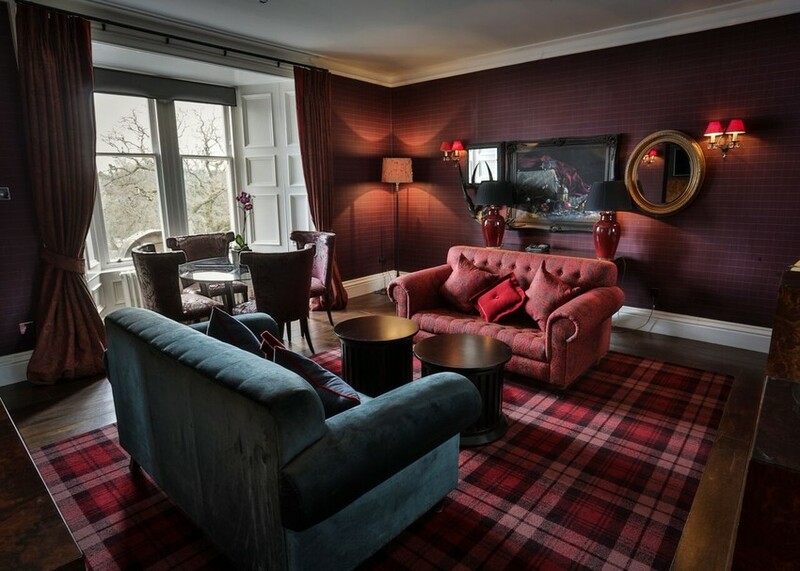 Fine furnishings, paintings and glowing log fires during the colder months enhance both areas. When not golfing, the more energetic guests can avail of the tennis court or enjoy a stroll around the surrounding gardens. One of the highlights of any visit to Lochgreen is the innovative cuisine offered in the classic setting of the dining room. 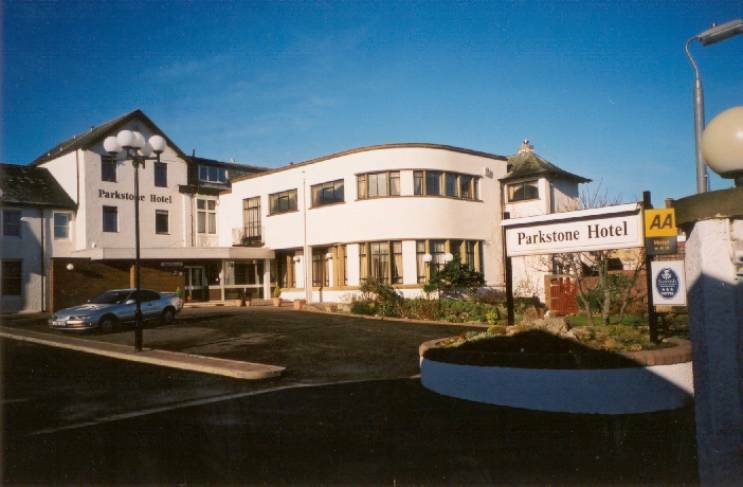 22 bedrooms, all ensuite, with In-house Video, Colour TV., Hairdryer, Radio-Alarm, Direct Dial Telephone and Hospitality Tray. All with ocean or garden views. 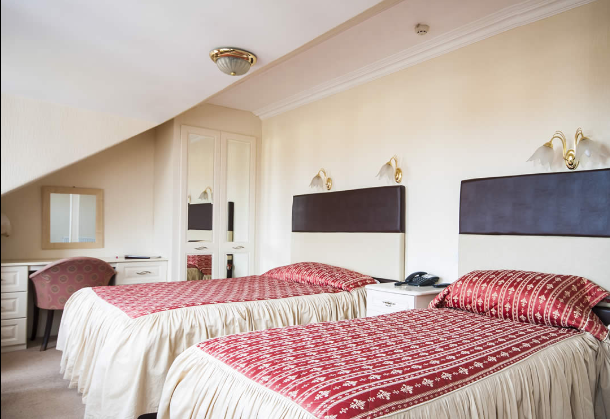 Room and laundry service available and also full night porter service allowing for late arrivals and early departures with breakfast. 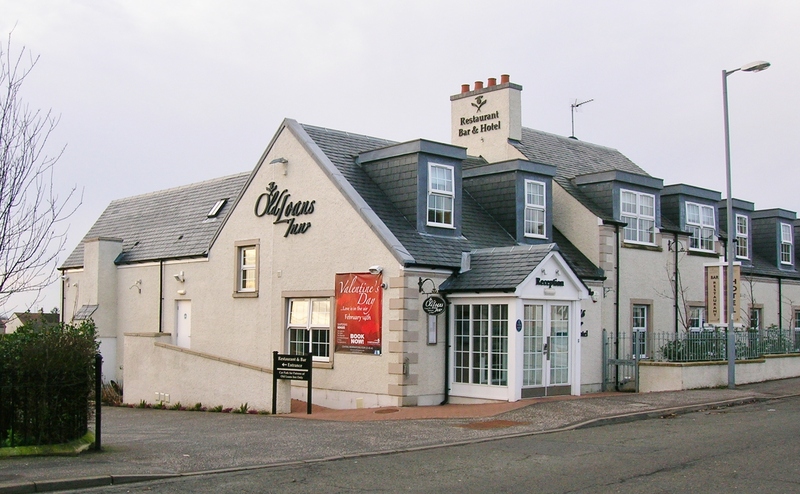 The Hotel has a 3 Star grading with the Automobile Association and Scottish Tourist Board. 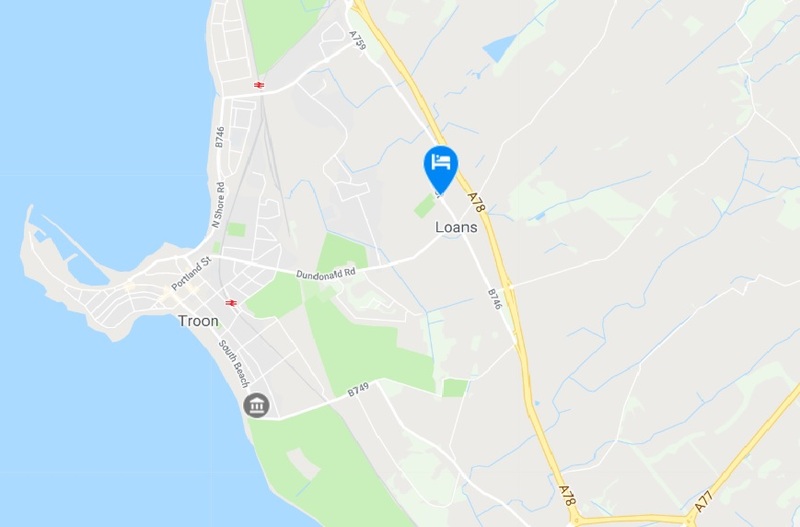 The restaurant offers a wide choice of fresh, local produce and has been awarded an AA Rosette and Scottish Tourist Board 3 Medallions for the quality of food, service and ambience. 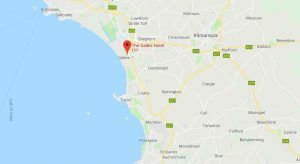 The breakfast room overlooks the Hotel sunken garden; the lounge bar and restaurant have magnificent views over the Firth of Clyde and Isle of Arran. 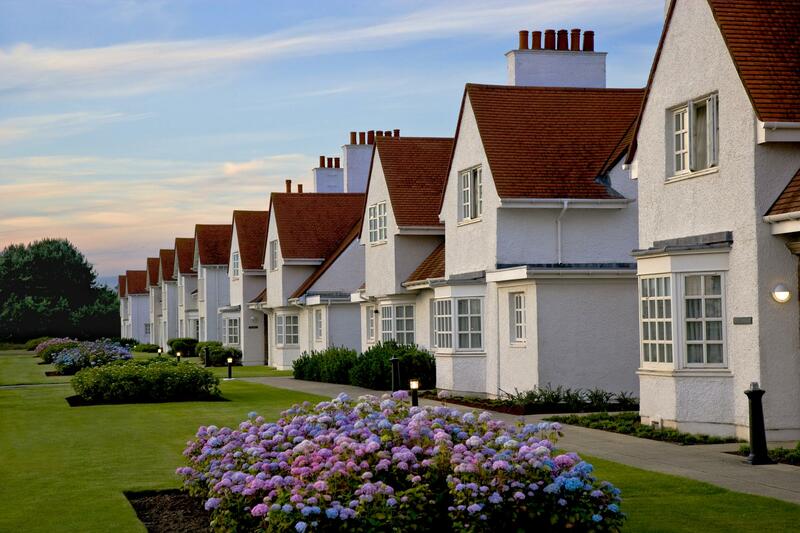 Overlooking Royal Troon, Piersland Lodge as it was known, was built in 1899 by renowned Scottish architect, William Leiper as the home for Sir Alexander Walker, grandson of Johnnie Walker, founder of the Scotch whiskey firm. Having remained in the Walker family until 1956, Piersland House is now a Grade A listed building with all the original features remaining, including wood panelling, stone fireplaces and woodcarvings. 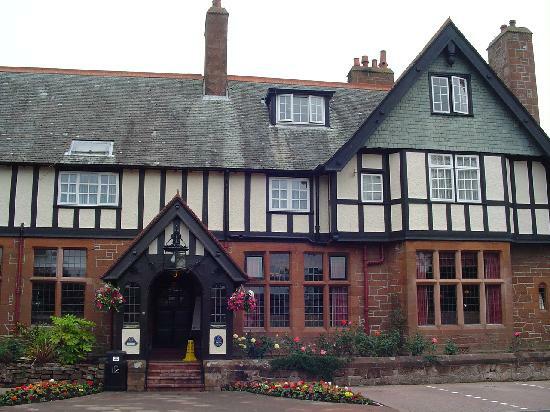 Set in an acre of beautifully landscaped gardens, this fine hotel has been much extended over the years and overlooks Royal Troon, which has hosted seven British Opens in all, the last one in 1997, when Justin Leonard triumphed. 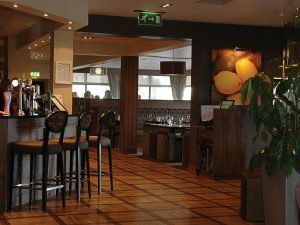 The wood-panelled lounge bar offers an extensive menu for less formal dining, while fine cuisine is par for the course in the elegant restaurant and adjoining cocktail lounge. 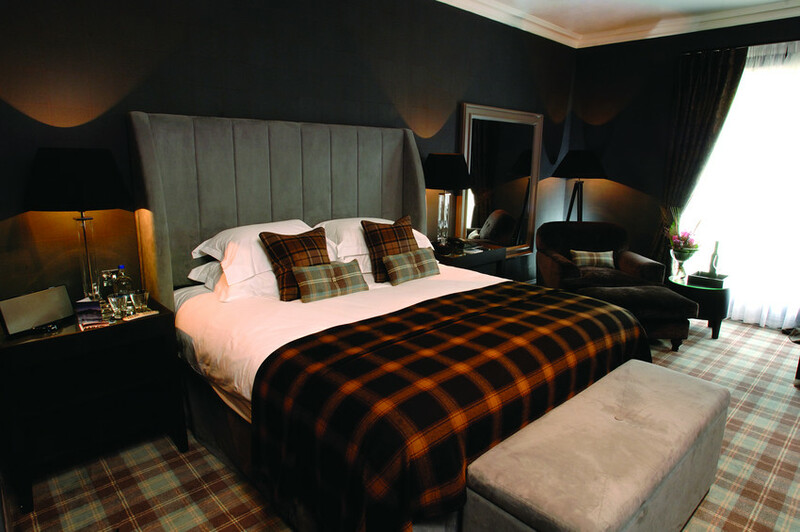 Keeping to the whiskey theme, each of the 28 en-suite guestrooms at Piersland House is based upon a malt whiskey distillery or family. All bedrooms, though they have been fully updated regarding facilities and comfort, retain their original charm. 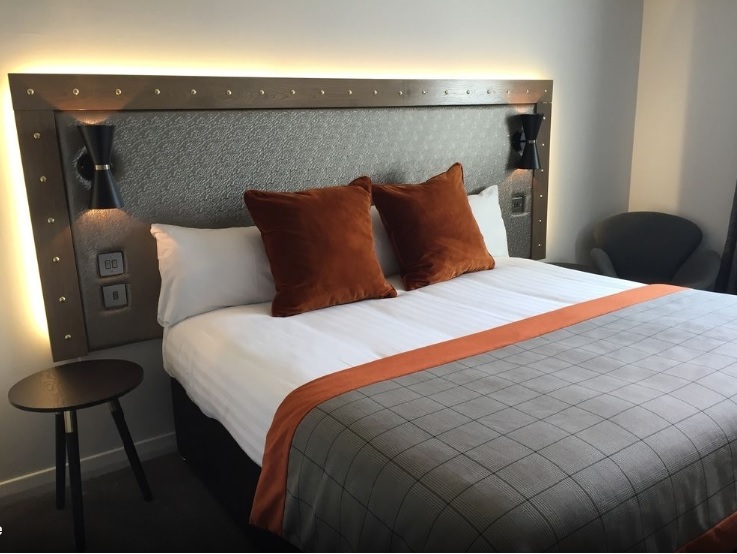 Residents can choose from three styles of room — cottage suites, large superior rooms or smaller standard rooms but whatever the choice, each is extremely well equipped.